More and more homeowners in Westchester County and New York City are turning to geothermal heating and cooling systems. Switching to geothermal offers many benefits, including higher comfort levels and lower utility bills. Even though the temperature in the air changes frequently, the temperature underground remains relatively constant. Geothermal heat pumps use that to their advantage. They can pump underground heat into buildings, heating your home with a fraction of the energy needed by an air-based system. During the summer, the heat pumps can reverse that process and pump the heat from your home back into the ground, cooling your building. Geothermal Heat Pumps generate hot water while they heat or cool your home. In the summer, your home can have hot water for almost no cost. In the winter, geothermal HVAC systems can slash hot water energy bills by up to 50%. According to the EPA, geothermal heating and cooling systems are the most eco-friendly alternatives to traditional HVAC systems. According to the U.S. Environmental Protection Agency, geothermal systems save homeowners 30-70 percent in heating costs, and 20-50 percent in cooling costs, compared to conventional systems. Geothermal heat pumps can be over twice as efficient as air-source heat pumps during cold weather. Want to learn more? At A. Borrelli, we work with you to come up with a system that makes sense for your budget and needs. 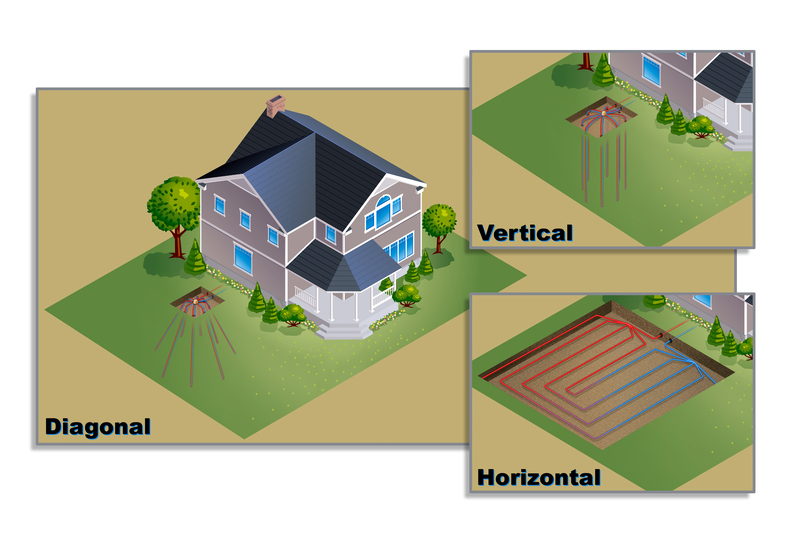 Contact us today to learn more about whether a geothermal heat pump is right for you.